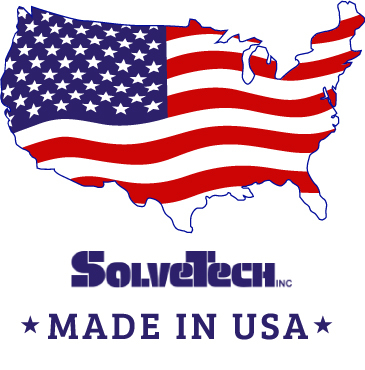 For over 36 years, SolveTech has manufactured on-line and off-line thickness gauging systems for plastic film and many other applications such as ceramic tape and nonwoven materials. These products are all based on SolveTech’s proprietary capacitance-based technology, originally developed by SolveTech’s founder, Doug Lawrence . Below are our high precision, non-contact thickness gauging products for laboratory and production use. Our products utilize our unique and proprietary technology to deliver precise and accurate measurements. If you are not sure which gauging system will fit your needs, call us to discuss your application at 302-798-5400 or complete our Information Request Form. We offer sample testing to help determine the best product for your application. Commonly used in the QC lab, but built tough enough for the production floor, this thickness profiler is a work horse that delivers the highest level of accuracy and repeatability on the market. Simply cut a sample, and the PR2000 will deliver a highly detailed thickness profile of your extrusion. Helps you determine thickness variability, detect die lines, and the average thickness of your product while utilizing a NIST traceable calibration. The SC1000 is a highly precise non contact micrometer used in the lab or on the production floor. Highly durable while measuring with 0.1 micron precision. 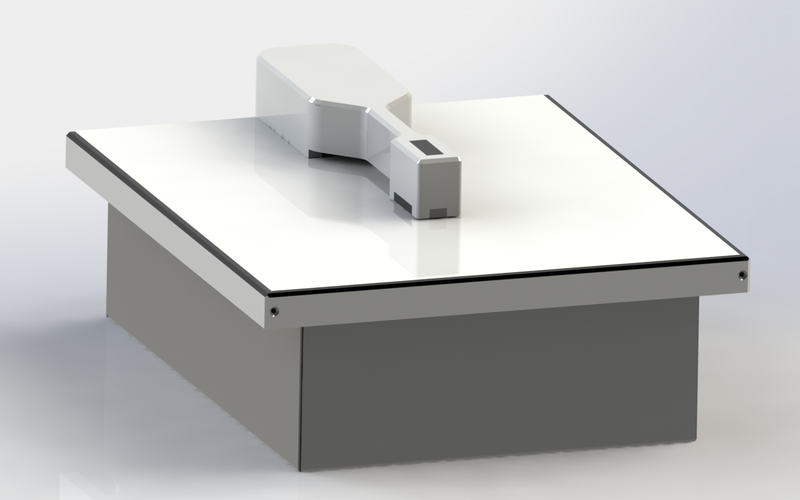 The position of this measurement heads allows for the inspection of larger sheets of material, and you don’t have to cut a uniform strip to run a profile. Works well with delicate or sticky materials that are difficult to measure. Quick and easy to use! The BF200 easily retrofits to your blown film line after the lay-flat. 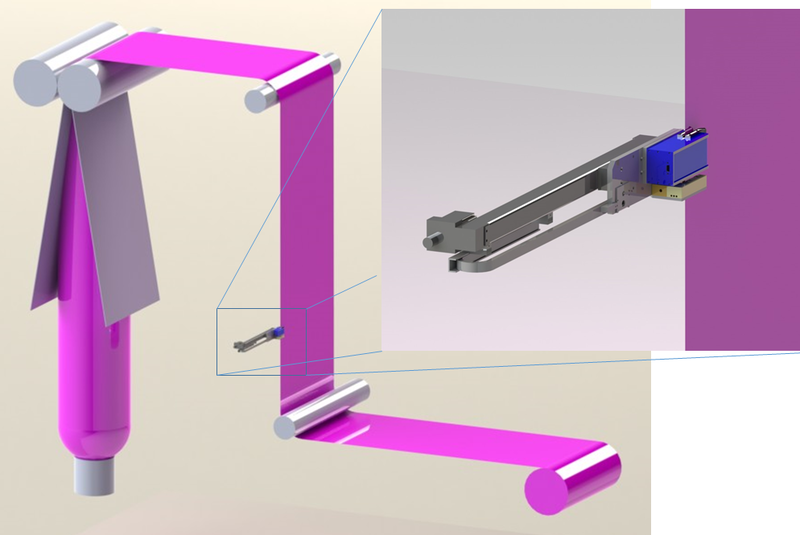 It works best with lines that have rotation/oscillation in the die or haul off. Accurate to 0.01 mils/0.25 microns and is extremely calibration stable. Due to this market leading calibration stability, it can be used to control average thickness as well as monitor the bubble profile. Its like having a gravimetric system and a variability gauge in one, delivering unprecedented value to the user. The MC5600 MultiChannel Array Gauge measures your cast film line with complete coverage and market leading precision. Accurate to 0.004 mils/0.1 microns and is extremely calibration stable. The MultiChannel creates 3D graphs of your cast film line, delivering a true profile of your web every second along with machine direction data. 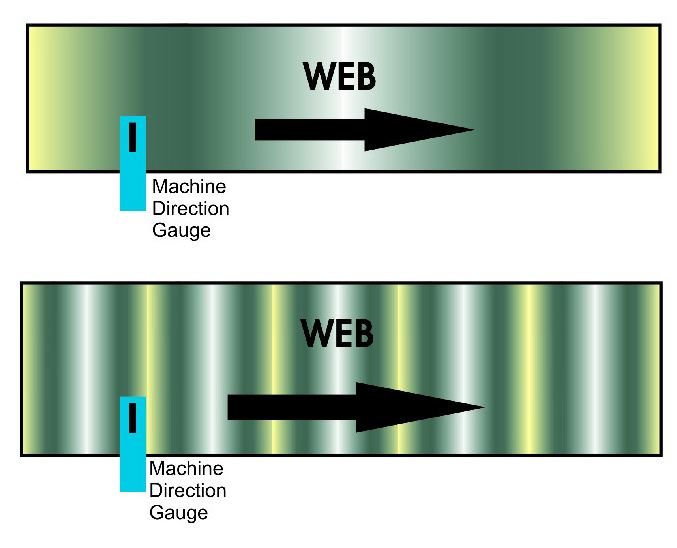 The MD1000 takes high speed and accurate machine direction/down web thickness measurements to determine the extrusion behavior in this direction. Takes a reading ever 10 milliseconds to deliver high frequency behavior. Easily retrofits to existing lines. The FX2100 offers high precision and a fast response speed for measuring your film. 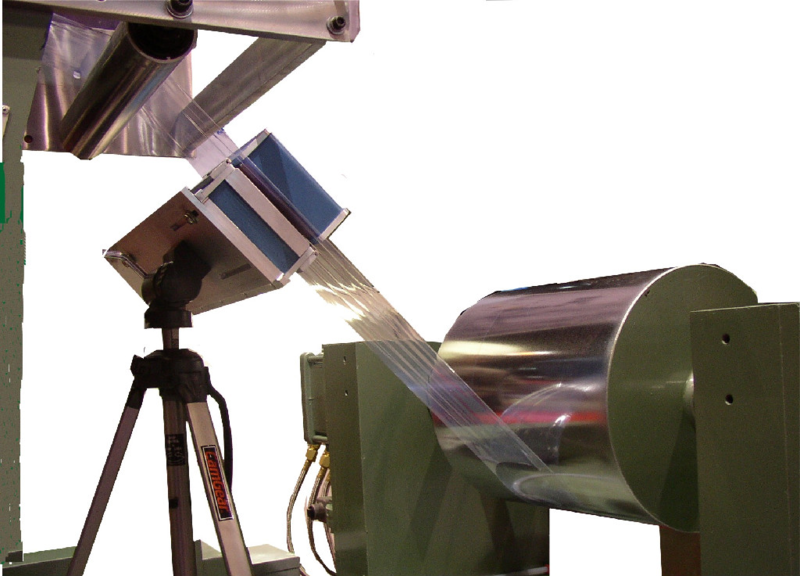 Highly versatile and customizable to handle very narrow webs or provide a point of measurement on a film web. Don’t see the product you need here? We can create custom thickness gauging or basis weight solutions to meet you needs. Contact us today or call 302-798-5400 to have a technical discussion regarding your thickness gauging needs. Our friendly technical experts will offer advice as to the best fit for your individual situation.